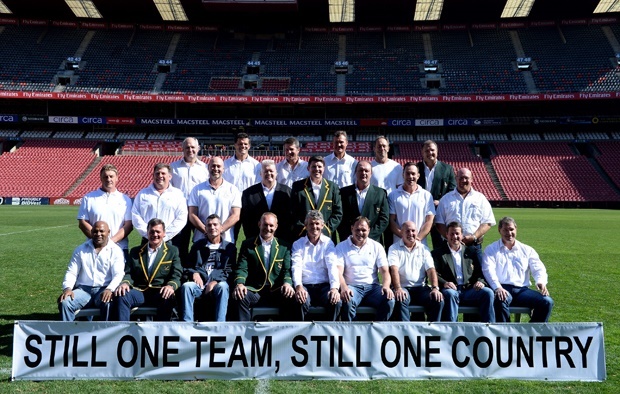 Cape Town - South African Rugby Union (SARU) president Oregan Hoskins on Wednesday congratulated and thanked the Springbok squad involved in the 1995 Rugby World Cup as they celebrated the 20th anniversary of their epic World Cup final win in Johannesburg. 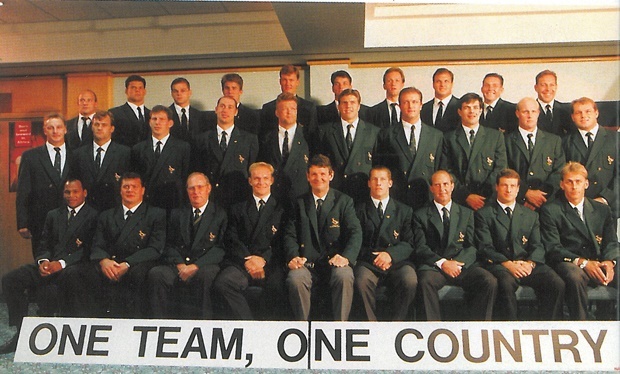 The Springboks won their first Rugby World Cup on June 24, 1995, beating New Zealand, 15-12, in a memorable final played at Ellis Park. The result unleashed a tide of goodwill and nation-building across South Africa, which a year earlier had celebrated democracy after decades of racial segregation. “We proudly celebrate this day as a rugby family, because this team helped Nelson Mandela unite a country,” said Hoskins. “It was a moment that astonished a nation and provided one of the foundation stones for the country we were to become. It was arguably the greatest day in our rugby history. Hoskins said it was also a day to remember and honour the legacy of the fallen heroes from that day, President Mandela, the Springbok coach Kitch Christie and flank Ruben Kruger. “They will never be forgotten for their role they played in shaping the country and the game we love so much,” said Hoskins. The Springboks’ achievement and Mandela’s support meant that the team enjoyed the full support of all South Africans for the first time. The newly elected South African president famously wore the jersey of Springbok captain, Francois Pienaar, at the final, provoking chants of “Nelson, Nelson” from the predominantly white crowd. On Wednesday, Pienaar said: “I will never forget the emotions in the change room before the match, when Mr Mandela entered and how every one of us got ready for this huge match - some of them quiet, some of them jumping around in the change room, others bringing massive energy to the squad. Paige to become Springbok No 869. But who were 1-868?